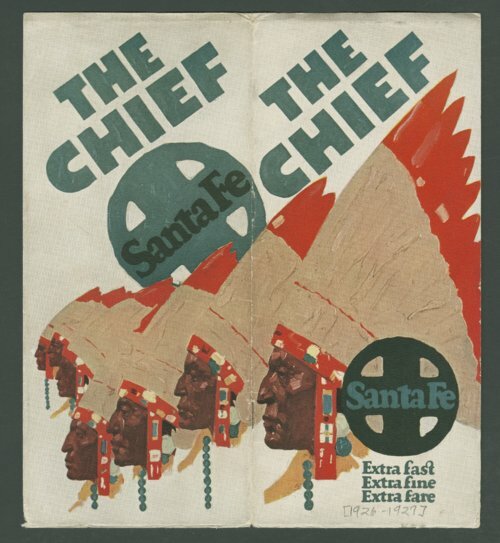 This brochure published by the Atchison, Topeka & Santa Fe Railway Company encourages travelers to take the passenger train the "Chief." The publication goes on to describe the journeys and the sights travelers will experience aboard the "Chief." There are also illustrations throughout the booklet that captures the luxuries offered throughout the passenger cars. At the back of the brochure a schedule is provided for the eastbound and westbound connecting trains and technical drawings illustrating the various cars that make up the "Chief."